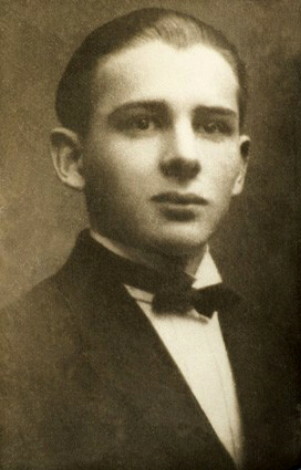 Antonych, Bohdan Ihor [Antonyč], b 5 October 1909 in Novytsia, Gorlice county in the Lemko region, d 6 July 1937 in Lviv. (Photo: Bohdan Ihor Antonych.) Poet, critic, and publicist. As a student in the arts and science faculty of Lviv University, Antonych assiduously studied the Ukrainian language and Ukrainian literature and wrote journalistic and critical articles under the pseudonym Zoil. 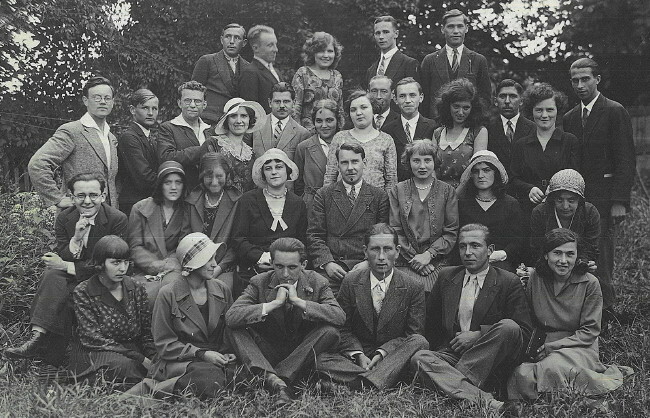 He graduated in 1933. With V. Havryliuk and Volodymyr Lasovsky he co-edited the art journal Karby. Antonych edited the literary chronicle for the journal Dazhboh and for a time was its editor in chief. 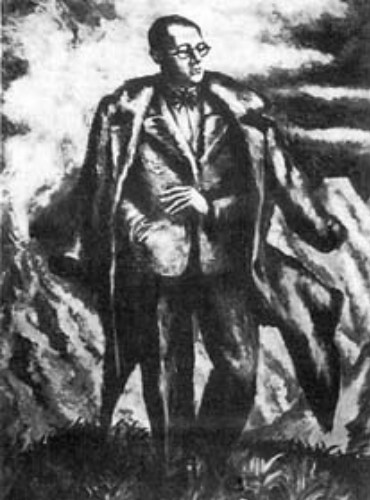 According to his own admission, Antonych was ‘a pagan in love with life,’ ‘a poet of spring intoxication.’ His lyrical poetry deals with a wide range of philosophical themes and combines the principles of imagism with a unique form of pantheism rooted in Lemko folklore. His religious attitude to folk objects and his extensive use of alliteration fascinated his contemporaries and have influenced later poets, notably Ihor Kalynets and Mykola Horbal. 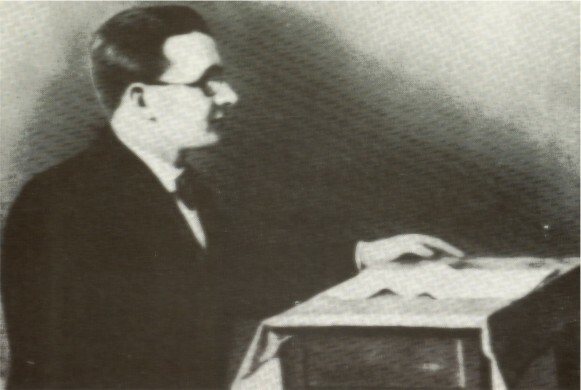 Antonych wrote the poetry collections: Pryvitannia zhyttia (Welcoming Life, 1931), Try persteni (Three Rings, 1934), and Knyha leva (The Book of the Lion, 1936). 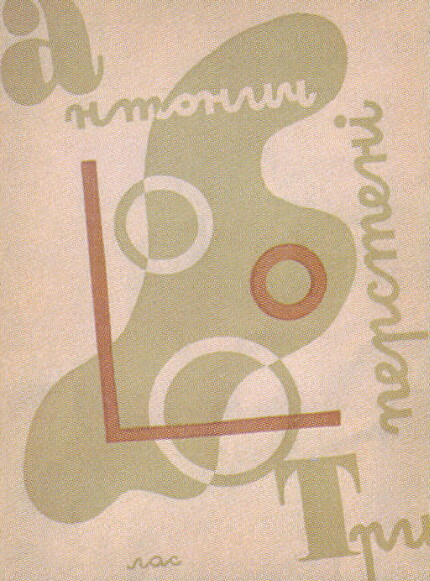 Zelena Ievanheliia (The Green Gospel, 1938), Rotatsiï (Rotations, 1938), and Vybrani poeziï (Selected Poems, ed Bohdan Romanenchuk, 1940) were published posthumously. 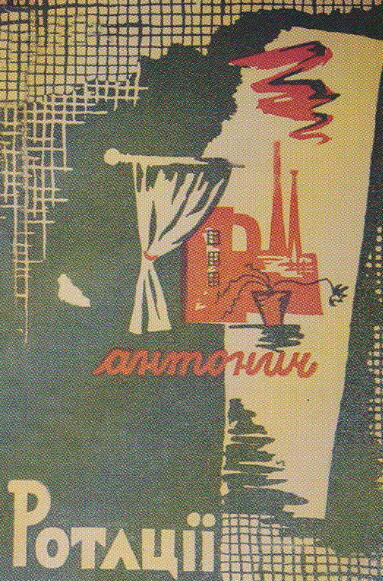 In the 1960s there was renewed interest in Antonych's poetry. Various articles on and studies of his work appeared. Several annotated editions of his poetry were published: Persteni molodosti (The Rings of Youth, Bratislava 1966), Pisnia pro neznyshchennist' materiï (Song on the Indestructibility of Matter, Kyiv 1967), and Zibrani tvory (The Collected Works, ed Sviatoslav Hordynsky and Bohdan Rubchak, New York-Winnipeg 1967). The last collection includes, besides Antonych's poetry, his unfinished libretto Dovbush, fragments of the novel Na tomu berezi (On the Other Shore), his theoretical articles on art, journalistic articles, and book reviews. In the 1970s selections from his work were translated into Slovak (Očareny pohan [Košice 1976]) and into English (Square of Angels [New York 1977]). A bibliography of Antonych’s works, compiled by T. Kulchytska and N. Hraitser, appeared in 1989.